A Previews Exclusive, this Avengers S.H.I.E.L.D. 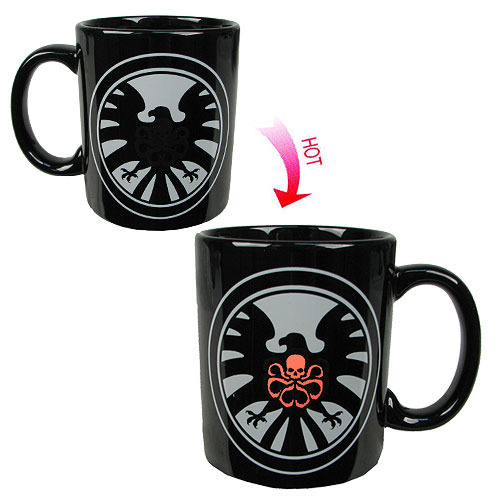 Hydra Heat-Change Mug features a Hydra logo that magically appears when you fill it with coffee, tea, or other hot liquid! Not Microwave Safe, Ages 12 and up.